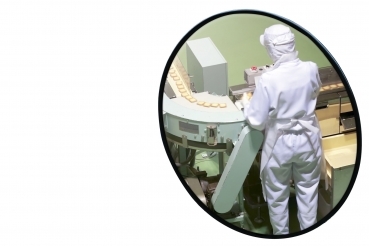 The mirror with a mirror surface made of stainless steel is suitable for use in the food industry or areas in which a high temperature prevails. 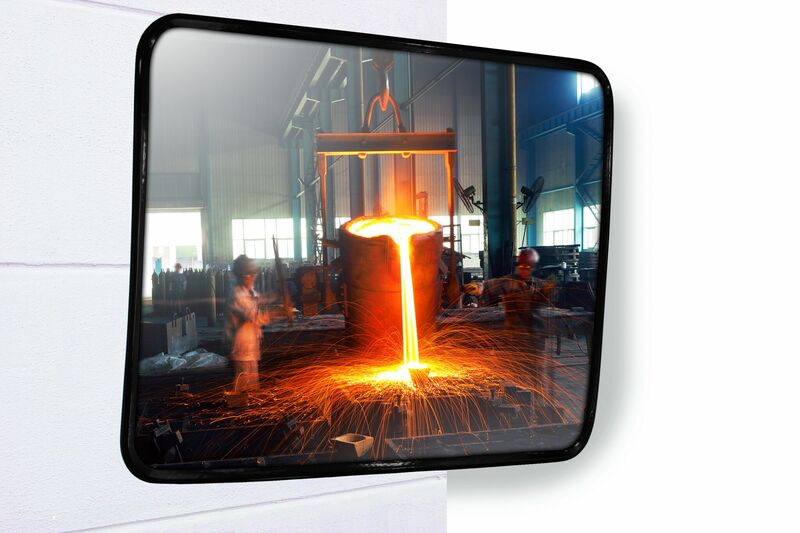 The mirror can be easily used in the temperature range of up to 350 ° C.
The black PVC strand can be removed after installation. 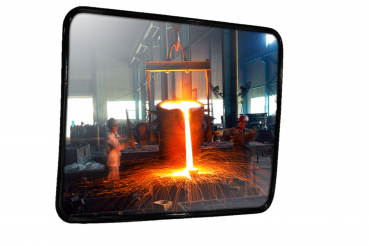 The mirror surface is made entirely of stainless steel and is covered by a PVC strand for protection during transport and installation. The assembly takes place by means of the included telescopic bracket, which has an adjustment range of 30-50 cm.